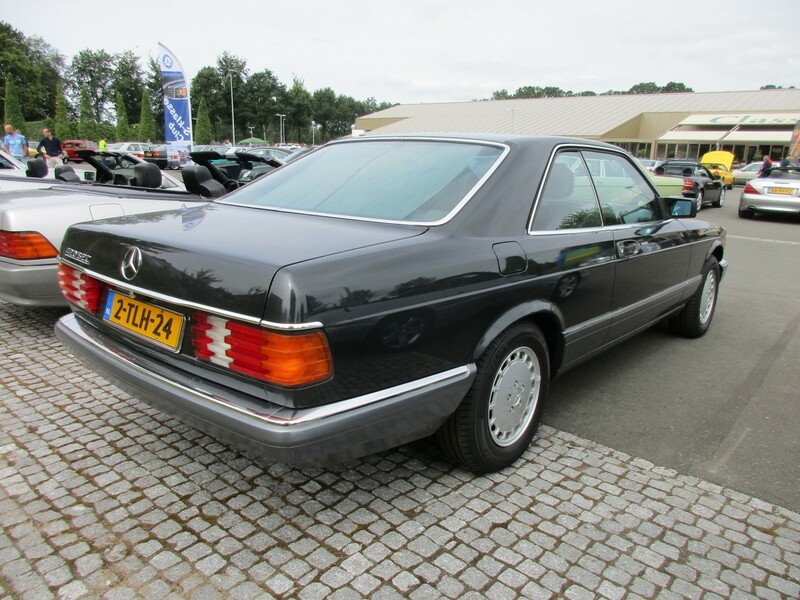 Its predecessor, the W116-series S-Class, is a downright classic. But by now it also looks very classic, as in old. And its W140-successor is a pompous barge, although I must admit that an all-black V12 coupe with matching Drug Lord rims is one of my automotive guilty pleasures. But whenever I see a clean W126, I admire its timeless grace and perfect dimensions. 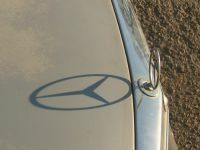 In other words, this Benz flagship model -introduced almost 40 years ago- has aged very well. During my recent visit to a Mercedes-Benz show, open to all models and ages (which applied to both cars and visitors), I found seven of them; five sedans and two coupes. All of them were in a very good condition. Starting with a 1984 380 SE (3.8 liter V8, 204 DIN-hp). 1982 280 SE (2.8 liter inline-6, 185 DIN-hp). The only S-Class of this generation with a carb was the 1979-1985 280 S. Diesel engines -always turbocharged- were only offered in the US and Canada; an inline-5 (the OM 617 engine) from 1980 to 1985 and an inline-6 (the OM 603) from 1985 onwards. 1986 300 SE (3.0 liter inline-6, 188 DIN-hp). 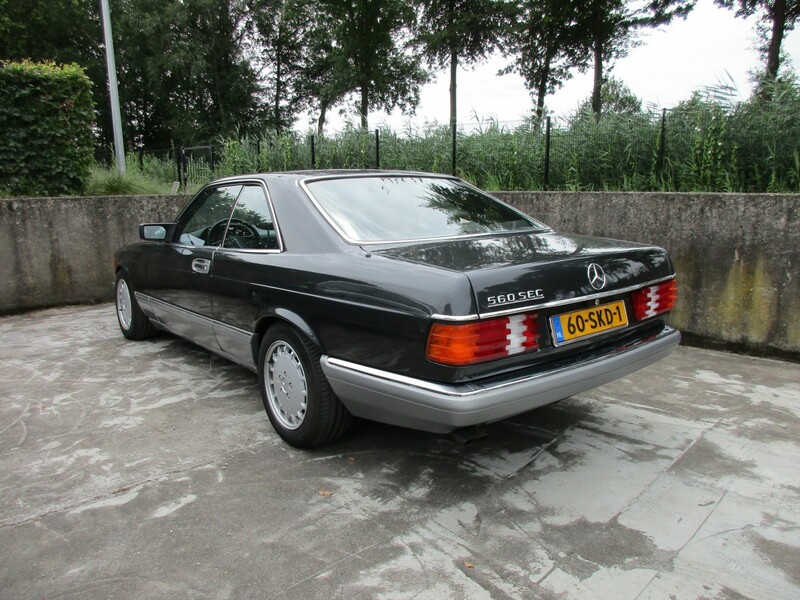 The S-Class was updated in September 1985. The revised version can be easily identified by the fully flat body side protection mouldings, available in 4 different colors (16 from late 1989 onwards, when the series got its final update). In Germany, these mouldings are often called Sacco Bretter, (Bruno) Sacco boards. 1989 300 SE (3.0 liter inline-6, 180 DIN-hp). 1990 C126 420 SEC (4.2 liter V8, 224 DIN-hp). 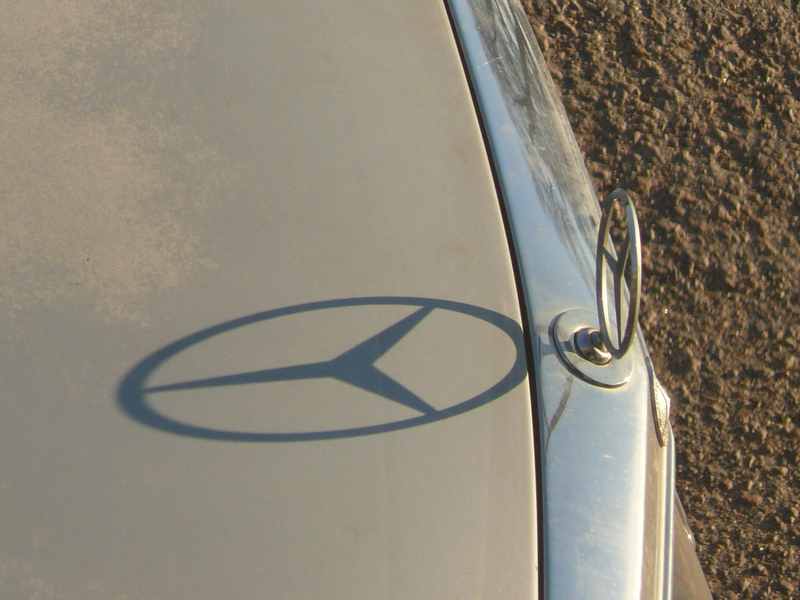 C for coupe, introduced in September 1981. Now we’re talking, the last one, a 1986 560 SEC (5.6 liter V8, 242 DIN-hp). 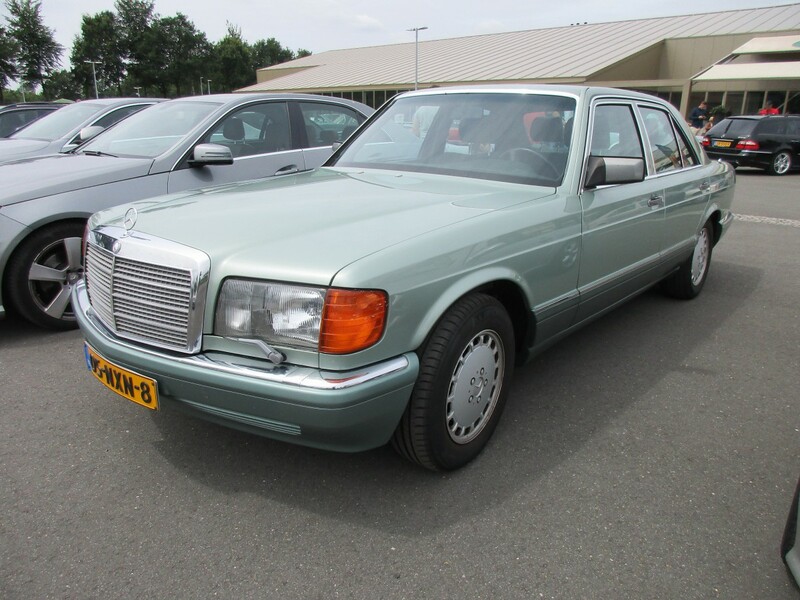 A grand collection and variety of other Benzes will follow, including the classic & old W116 and the pompous W140. Granted, it did have a V12. I also like these cars but don’t imagine I will ever own one. Every morning I walk past a house that has a 300SD in the driveway. For the longest time I was figuring that it was a driveway ornament as it never seemed to move. Then, a week ago, I was nearly run over by it when the driver backed up without really looking for pedestrians on the sidewalk behind him/her. Lovely cars, and always a treat to still see around. If I had my druthers, my pick would be a late 560SEL (or perhaps a 420SEL would do) in Smoke Silver with the Burgundy interior and the flat-faced alloys. The W126 is one of my favorite cars ever! Along with the 124 & 129, the 126 has always been among my very favorite Mercedes and Mercedes has always been my favorite brand. The first 126 I ever saw was in the fall of 1979 on Avenue George V in Paris. The sedan was just stunning and as an “S” class just a beautiful replacement for the overly busy 116. This was before the 126s arrived at the MB dealers in Illinois, where I was then living, so seeing one in person, on the street, was significant for a Mercedes fan. The early 126s in America all suffered from federalized bumpers. 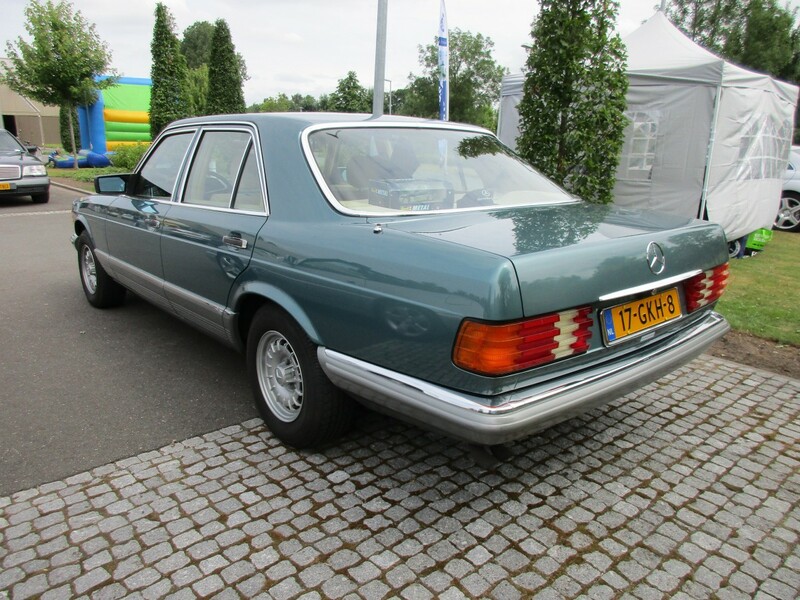 The pretty green 380SE shown here well illustrates the original (short bumper) design, not given to us in the USA. 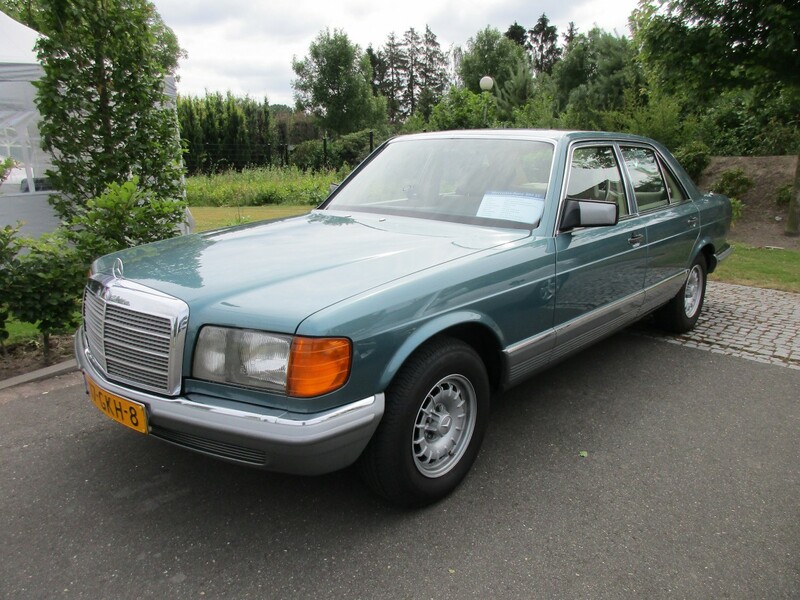 Of course the “gray market” European cars during the early ’80s did allow us Americans a shot at a 126 with the style Mercedes intended. When the gorgeous coupe first arrived in the US, it had only the small V-8 (380SEC) and of course the big bumpers and it was clearly an inferior choice to a Euro 500SEC. 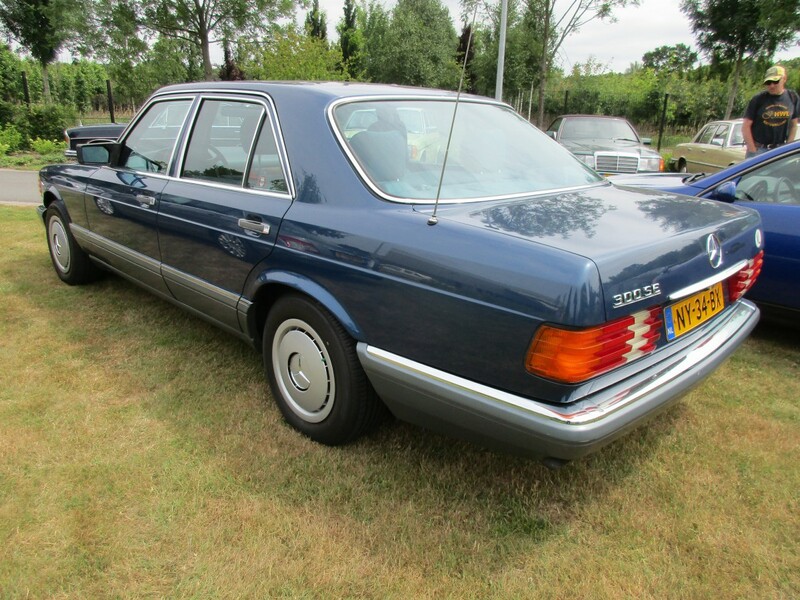 These were extremely high quality cars, probably the pinnacle of Mercedes “S” class production. The subsequent 140 was so disappointing and since then no “S” nor any other Mercedes was the superior car that the 126 was. I’ve never owned one but always have eyes open. I’d like a 380SE or a later 300SE. I did drive a neighbor’s 560SEL from southern Florida to northern Illinois; it was a fine long distance mile eater. Thanks for the photos, some fine German cars here! My younger son had a 300SEL briefly. 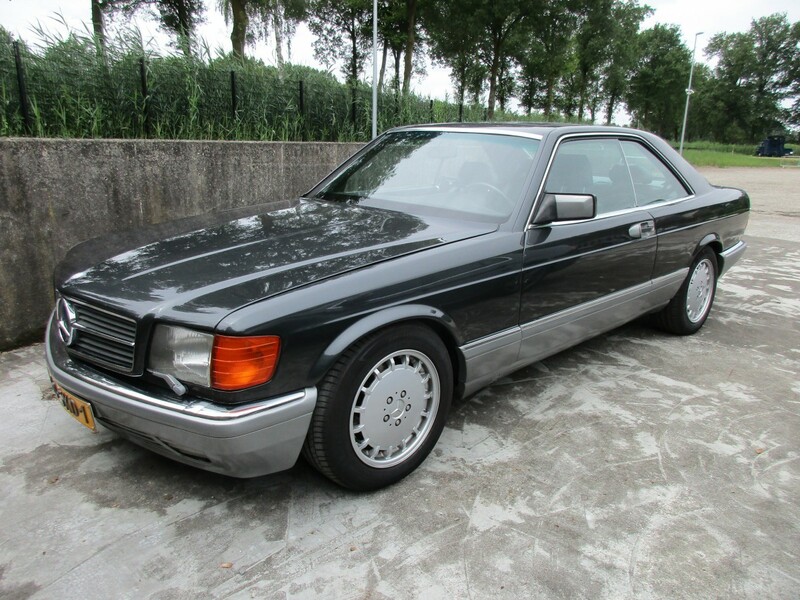 I drove it once, as I’d never driven a W126 300. It was decidedly sluggish around town, due to the annoying 2nd gear start from a stop. That was my biggest gripe about my W124 300E. Of course one could shift into 2, which would cause a 1st gear start, and then put the shifter into D/4. But once under way, it was of course that classic MBZ feel: driving the closest equivalent of a bank vault. It met its demise at his hands late at night like most of his numerous cars. I should do a series sometime of all the cars he’s destroyed. This one was the most painful, as it was in quite nice shape. Maybe in a few years. The good news is that he hasn’t had a license for some years, although that didn’t keep it from happening one more time. ’nuff said. Multiple destroyed cars? Yes please, I’d love to read this article! But the backup lenses turned yellow too early. The 126 always struck me as the last of the over-built, over-engineered cars from Mercedes. I moved quite a few of both the sedans and coupes during my time as a valet at an upscale country club. My favorite bit was on the coupes. The (non-existent) B-pillar was so far back that an automated telescoping rod would extend upon startup to hand you the seat belt buckle. Maybe that was a US-only thing, I dunno. But it sure was fancy. I did the valet thing too at what sounds like the same time. Bernard’s Valet Service at Braemar Country Club in Encino as well as hundreds of private parties in Hollywood and the West side of LA. Probably one of the best possible jobs for a high school and collegiate car nut. Good times! The 80s was the peak for MB. 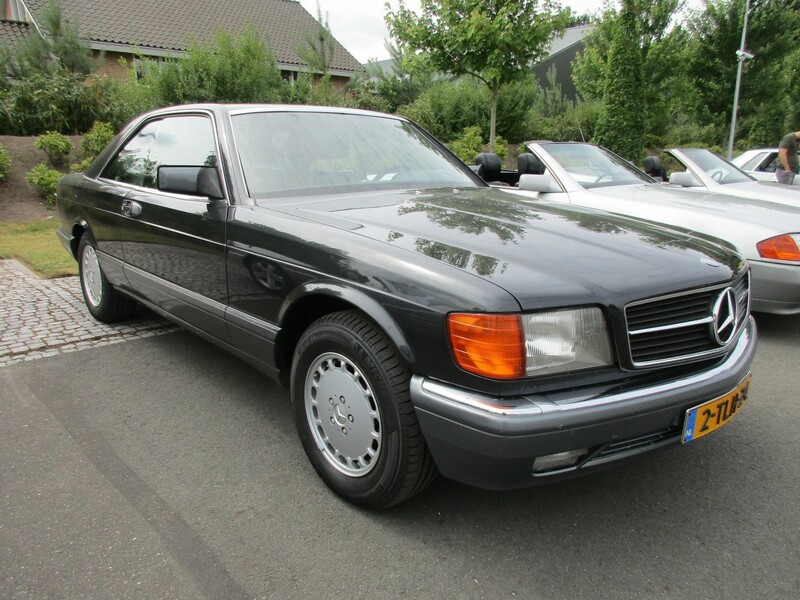 The W126 and the E-Class W124 were the last models seriously over-engineered for quality rather than price. Since the 90s MBs have become much more like ordinary cars. 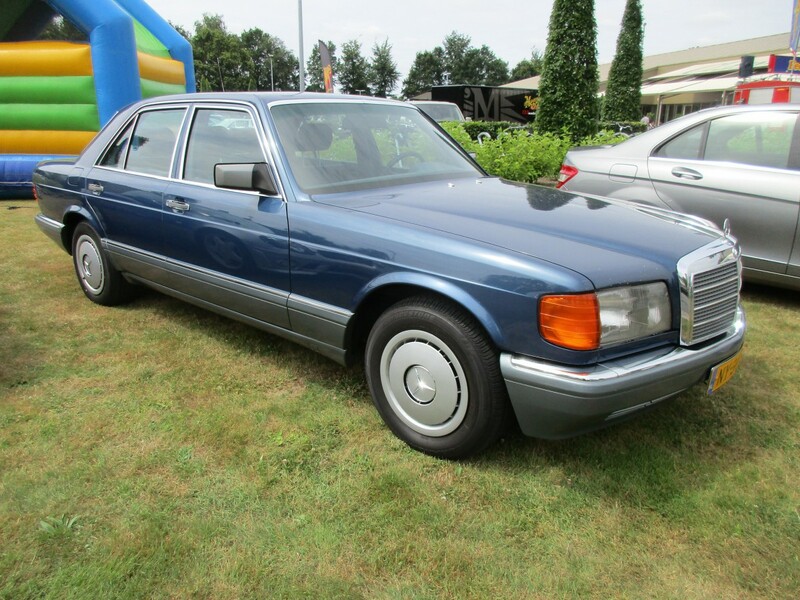 I had the experience of riding in a W126 560SEL a few times — “bank vault” is the perfect description of that car. I recall an interview with chief designer Bruno Sacco, he styled it with no sharp creases or tight surface bends to give the impression it was made from very thick steel – the illusion works. 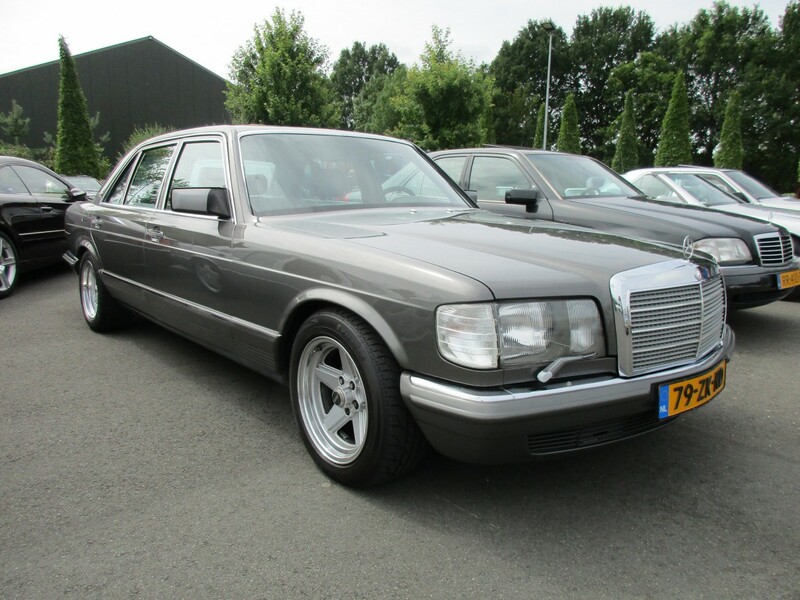 In my opinion, the W126 and C126 models are the best-looking postwar non-sports Mercedes. Serious and sober looks with just enough aero curves to give the right measure of sleekness. A peak that Mercedes hasn’t matched since. I also find these to be one of the best designs from MBZ. Just the right amount of smooth curves combined with a strong traditional styling cues. I had strongly considered one of these sedans but went with the Seville instead. My neighbors had a 560 for a long time until they decided that they wanted something smaller with better fuel economy. They ended up with a round headlight 300. I still want a coupe but decent ones are getting real thin on the ground. These are nice, but they are no W140’s. Is the W140 pompous? Yes. Of course it has every right to be. Few cars have ever had such “presence”. 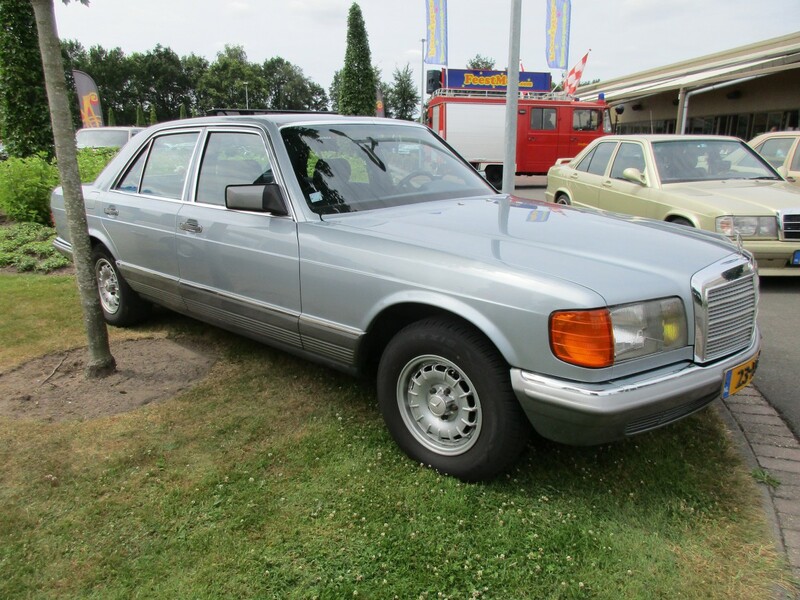 It is one of the last great Mercedes, I know these cars well, especially the 500SE, frequently used to travel along the M4 motorway in the UK from Chiswick, West London to Newport, South Wales, a distance of about 130 miles in the dead of the night in the early, mid 90s. I am not exaggerating when at that late hour, the speedo hovered around 130-140mph for most of the trip. Sounds reckless but it was no big deal, it was what the car was designed to do all day long, the only other car I can think of that cruised like that at the time was a Jaguar XJS. I had the S Class model before this and the W126 had much better gearing, was definitely more fuel efficient and held out against rust very well, unlike the earlier model. Although the car was technically and dynamically excellent, for some reason I did not fall in love with it. Not really my type of car, though better than the 116, and pleasant enough to be chauffeured around in, which I experienced a few times in Asia. But I’m curious about the statement that the diesel was only available in North America. Hard for me to believe … or is the S Class firmly in gasoline territory for Europeans, with diesel relegated to C and E Class (and their predecessors)? Yes that seemed bizarre to me too – there was a time when a German brand sold diesels in North America but not Europe. Seems unimaginable now, but I recall MB sold more diesel than gasoline powered cars in the States for several years in the ’80s. The W140 was the first S-Class that was available with a diesel in Europe, that was in 1992. Till then a diesel was not suitable/”civilized” enough to drive a flagship automobile. 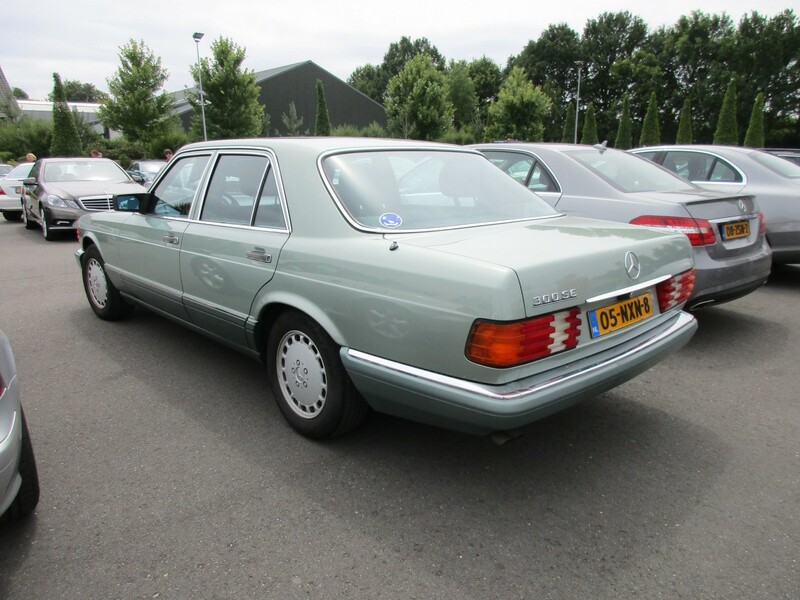 They were certainly good enough for the contemporary W201 (the 190 series) and the W123/W124 (E-Class), but at that point MB found a diesel still too agricultural for their S-Class. Something about the sound and vibrations; the “Laufkultur”, as they say it. Not to mention the lack of performance in that high-end segment for a good old Autobahn ride. *From ’81 to about ’85, the 300SD, the 380SEL, and the 380SEC were the only W126’s available in the USA. I believe the 300SD (diesel) was the big seller out of that group. They were everywhere for awhile there. All this reminds that I actually briefly drove a W126 300SD here in the US, which I’d completely forgotten about. I was very concerned making a left turn across 2 lanes of oncoming high speed traffic, from a standstill, in someone else’s $30000 (?) car. Yes, throttle response off idle was slow compared to the 5 speed Honda Civic I had at the time. Maybe that 300SD also had 2nd gear start. Or 3rd, or 4th. With the diesel, who would notice? I’m still driving my ’84 300SD named “Partly”. Love, love, love these cars! 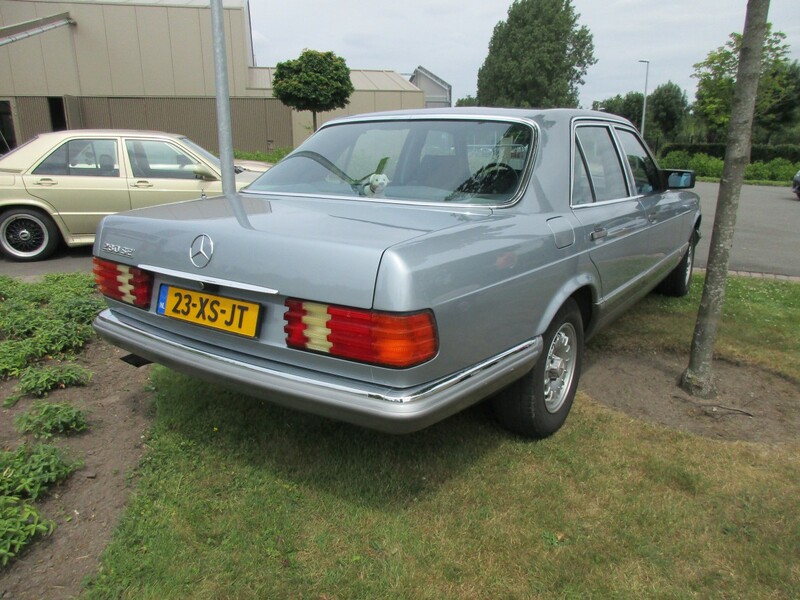 As I only have room for one hobby car at a time, a w123 I am really attached to is currently and most likely will be for the foreseeable future the sole hobby car (see avatar). However down the line should the position open, a w126 will be the car of choice. I want one as a DD, but I need a modern reliable daily for that requirement. Someday…. These were exceptional vehicles. I could previously only admire them with jealousy. Now I can buy the next nice one that shows up. So, I’m looking. Paul – I think the 300SE is much more satisfying than the 300SEL. I don’t know the details as to weight right off hand but the short body is my focus now. Someday I will find one. The main problem of the W140 was that it was the wrong car at the wrong time (given the economic situation in the early nineties). These truly are an amazingly timeless design. My favorite Benz sedan of all time by far. I still remember the first one I ever saw on the street in England in 1980 when I was ten years old; it was a 500SEL registered “JET 49” and it had replaced a Lotus Éclat. Still amazed at how fresh they look nearly 40 years after their introduction. Nice piece on an overlooked car. I remember a ride in a C126 coupe, i think a 500 or 560SEC V8. There was a certain spartan air, compared to say my then boss’s Zedos 9 saloon but it felt like mobile bank vault. I worked as a Skycap at a small airport where we were strictly forbidden to park cars, as they did not carry the insurance for valeting. We followed this rule, because it was a very desirable job that paid well. One day, however, an old codger smoking a cigar rushed up to the curb driving a 560 SEL in a dark blue color that shined like a mirror. He was about to miss his plane. He gruffly said to me, “I need you to park my car. Just lock the keys in it.” I replied, sir, we are not permitted to park cars. He pulled out a wad of cash and starting peeling back $50 dollar bills, and each time he peeled a bill back, he repeated the exact same order, in the exact same tone.” “I need you to park my car. Just lock the keys in it.” Once he reached $200, I couldn’t say no. It was a very short drive to the parking garage, but I’ve never forgotten my experience with that car or that man. Luckily, I didn’t get caught.